Having had the pleasure of seeing six previous and all excellent productions from White Cobra, it is perhaps inevitable one day that one might eventually disappoint. Setting a standard so high means that anything other than excellent feels below par. Sadly their new show Dizzy Boo fails to hit the spot. Not so much in the performances, as White Cobra have once again assembled their excellent company of actors who have yet to be a letdown, it is more that the play itself by Brian Wright seems a little unsure of itself at times. Set in Saxons Mead housing estate, the play centres around the sale of Nick (Fraser Haines) and Donna's (Kate Billingham) house following his discovery that things may not stay the same forever on the homes overlook of meadows. Add into the mix some roaming immigrants escaped from a lorry and some musical numbers and you have a curious mix between comedy and tough drama. 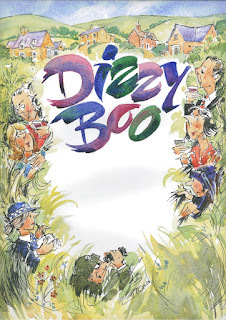 This mix is at times where some of the problems lie as although the best plays balance between drama and comedy, in Dizzy Boo, the tough part feels seriously and dangerously played too lightheartedly. If you are going to have such a powerful scene as that between Nick and Donna towards the end of the first act, you really should have a tough resolution or at the very least a tougher response from the other characters than we get. Likewise the immigration story is handled very casually considering the path is takes and at play end more seriously is left unresolved as the play just stops. You expect some loose ends at the end of a play as life goes on for the characters, but with Dizzy Boo, everything is left loose with no resolution to any of the major stories. Having said all this, there is still much to enjoy from the play. The cast are excellent and the script itself works extremely well with the doubling up of roles, possibly one of the best I have seen in fact with a small cast and so many character switches. None of them seem awkward and all are brilliant handled by the performers, each of the six leads creating specifically different feeling characters. Fraser Haines is great as the generally unlikeable Nick, opinionated and full of pure self-interest, you totally hate him long before that scene with Donna, and after that you simply have no time for him at all. Kate Billingham likewise gives a great performance as the put upon Donna, having to deal with all of Nick's behaviour in all its various quirks. Kate also is superb as her second character, which with all the build-up, frankly has to be a great performance or it is going to be a tremendous let-down. Her antics with the near mute Pasco (Denise Swann) are really great fun and one of the highlights of the play. Bernie Wood and Richard Jordan as Louise and Jez Herbert are sweetly kind natured and blunt and forceful respectfully. Richard also has many of the best comedy moments including his first arrival in main character as full Mario and his tale of the call out is extremely well delivered. Rod Arkle and Kimberley Vaughan offer great support and some really fun tunes as neighbours Ben and Paddy. Production wise there are a couple of occasions in Dizzy Boo that set my set changing twitch off as unfortunately. First was the incredibly cumbersome way that the house name was changed. I just wanted to jump on the stage and switch the sign from one side of the stage to the other, so the poor stage manager didn't have to walk across the stage and could have just flipped it quickly. Also, I would have had that wonderful set of crockery initially placed on a tray for quick escape rather than a horrific bag packing scenario occurring. However I confess that scene changes are my OCD and others might have been fine with this. The set from Derek Banyard offers a wonderful backdrop for the play and does feel very garden-like. 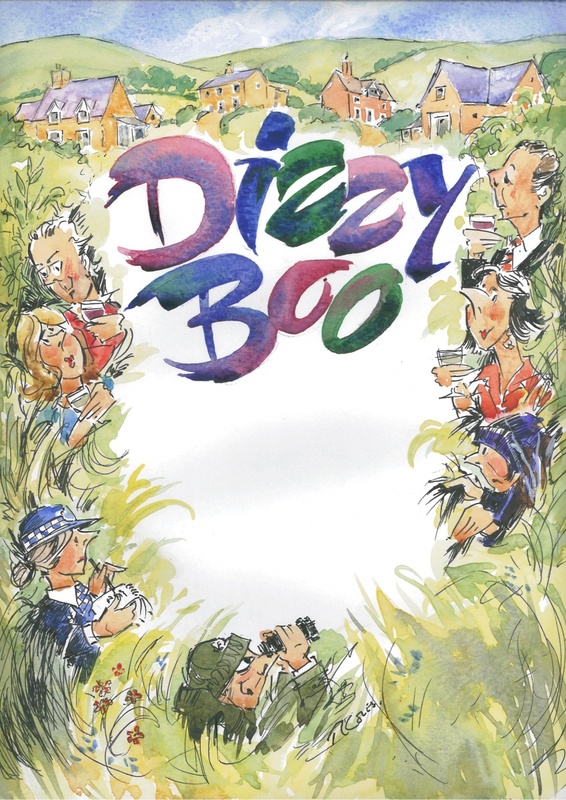 So, Dizzy Boo is entertaining, but would be better billed as a comedy drama and with better expansion on the bold drama it deploys and then briskly discards. It sadly never reaches the mighty heights of Brian Wright's most recent offering Shaxpeare's Box and while it is as always brilliantly performed, it isn't quite White Cobra's finest hour.